Smart gas station owners employ clever marketing strategies, deals, and loyalty rewards programs to boost sales and attract repeat business from locals and tourists alike. 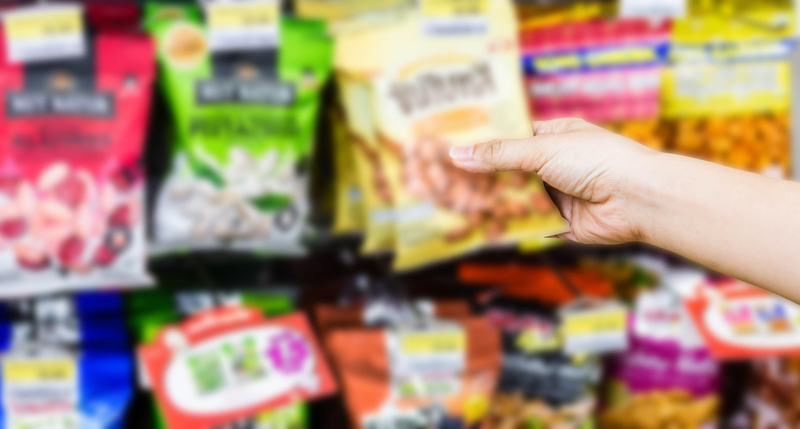 But the real trick to C store success lies in making sure your inventory is stocked with must-haves and why-nots, and tailoring what you carry to match sales trends at each location. Here, we’ve put together a list of hot SKUs, and how to determine which products are going to keep your customers coming back for more. Phone Accessories - USB chargers, wall adapters, and even phone cases are always going to be at the top of everyone’s “need” list during a pit stop. We’re addicted to our phones, and we’ll do or buy pretty much anything to keep them charged. Plus, phone accessories are easy things to forget for any road-tripper. How many times have you looked in your go-bag only to discover you left your charge cable at home? What a relief that you can pick one up at the next gas station. Craft Beers - A pricier pint for the discerning beer-lover. Growing foodie culture nationwide means more shoppers will be looking for alcohol that gives them a better taste of the local flavor. What an exciting thing to find your favorite IPA or chocolate stout during your fill-up! Who would have thought they carried that here? Souvenirs - Everyone’s favorite thing about a gas station stop is that glittering wall of cheesy keepsakes. Carrying shot glasses, keychains, and bumper stickers with fun slogans or pictures from your locale can mean impulse-buys with results. If your store is in a tourist destination, you might think about stocking some local crafts that show off your town’s artsy side. Non-alcoholic Beverages - A ritual for some, and an occasional treat for others, fountain drinks, slushies, energy drinks, and bottled sodas never go out of style. A mid-morning sugar fix or a badly-needed jolt of sweet caffeine is often purchased with an accompanying bag of chips or candy. Offer deals on these hot-ticket items to keep them flying off your shelves. Frozen Treats - I scream, you scream, we all scream! Ice cream, popsicles, and other sweet snacks from the freezer serve as a means for shoppers to spoil themselves. Tantalizes regulars and passers-by with drumsticks, ice cream sandwiches, and even higher-end pints from local creameries. Lottery Tickets and Scratchers - The ultimate guilty-pleasure impulse-purchase. Colorful, thrilling, and available right at the counter, customers spend money to (fingers crossed) make money on the luck of the draw. Why not? When you’re already paying for gas, snacks, and that “I’d rather be fishing” souvenir bumper sticker, you might as well shell out another couple bucks for the chance to make millions. Hot Food - Mmm. Delicious. Cheap, fast and easy: who doesn’t love a hot snack every now and again? And again, and again. Customers love being able to trade up a packaged pastry for something fresh and steaming. Hotdogs, pizza, nachos and breakfast burritos are always a welcome sight for a weary traveler or early-morning commuter. Grocery Items - Pantry staples like milk, bread, produce, and canned goods are easy for a repeat customer to put on their convenience store shopping lists. Quick lunches, dry snacks, and condiments are also going to fall under this category. If mom can fill the tank at her favorite gas station and simultaneously get some of the weekly shopping out of the way, great! Keep your regulars in mind, and give them reasons to return. Tobacco Products - Cigarettes and vaporizers are top sellers that convenience stores can offer to their customers. With an increasingly health-conscious society, supermarkets and pharmacies are either jacking up their prices or cutting their ties to tobacco altogether. This is where the gas station can step in and reap the benefits. Keep a wide selection available for brand-loyals, and new items for curious customers who want to try something new. Car Products and Accessories - Well, it is a gas station, isn’t it? Everything from the practical -- motor oil, windshield cleaning fluid, jumper cables -- to the weird -- novelty air fresheners and steering wheel covers are a driver’s dreams when they’re on the road and in need. So how are you going to tell what to stock and what to drop at your store? Using data-driven buying and stocking strategies can take the guesswork out of building inventory, and boost your bottom line. One favor you can do for yourself is to use an inventory management system that will give you real-time numbers on sales and sale trends. Let’s say energy drinks have stopped moving at location A, while at location B you can barely keep the shelves restocked. A smart inventory tracking system will show you the numbers, and you can decide to increase energy drink stock at location B, while reducing product at location A. Another example: your tracking system shows that a certain brand of scratch-card has been moving like wildfire across several stores. Use this information to implement deals or marketing campaigns at these specific locations that will keep these lotto numbers on the upswing.CStorePro offers live monitoring and pricebook reposting solutions that provide you with sales data as it happens. What would have taken hours of work 5 years ago, you can now do in moments. You can track numbers daily, get monthly and long-term reports, and compare trends across locations. This enables you to make data-informed inventory management decisions and address fluctuating sales in real time. For more ideas on how to use marketing to keep your convenience store business booming, check out our other blog post How to Increase Gas Station Sales.